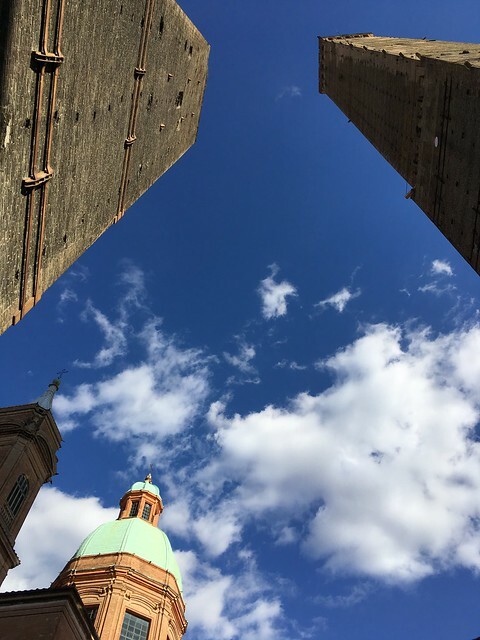 If you find yourself by Bologna’s famous two towers, be sure you stand between them and look up. It’s one hell of a view, especially on our first crisp autumn day. Santo Stefano is a must-see, year round. During Design Week, it just gets even more fantastic! I hope your friends enjoyed it. And I just realized I commented on something completely different. I really am out of it these days. I forgot what I’d posted! 😀 Feel free to ignore that first statement, though I still stand by it and hopefully I’ll get a blog post up soon regarding what I was talking about. But yes, the two towers are always lovely to see … and just around the corner from Santo Stefano. I hope you have a smooth, easy move and enjoy the Algarve! How exciting!